Made these to fit within constraints as to size – meaning fit within a certain space. The flanges dia, thickness, bolt circle, bolts etc. are all correct for 6″ pipe in 1:25. The Tees and elbows are ‘custom’ .. again to fit the constraints. The short stud on either face fits Evergreen #229 9/32″ tubing (the Evergreen tubing works out to 7″ dia in 1:25. The OD for 6″ pipe (nominal) is 6.625″) . 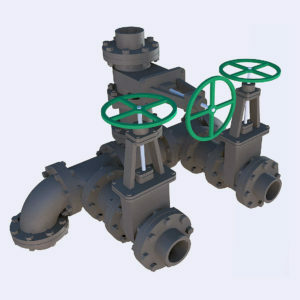 The gate valve will take a small pin for the valve shaft. 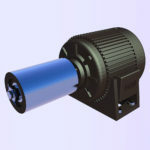 Appropriate handwheels can be purchased from Vector Cut.